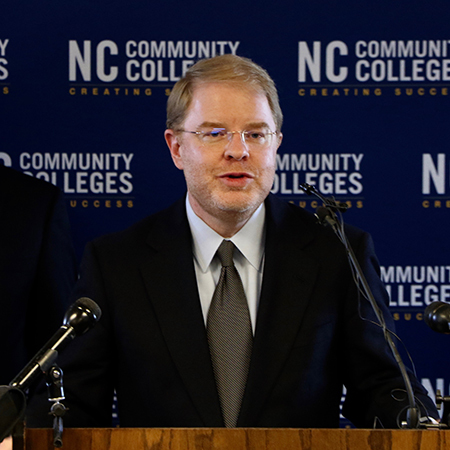 On May 1, Peter Hans became the ninth president of the North Carolina Community College System. Following his election by the State Board of Community Colleges, Hans was introduced at a news conference attended by Gov. Roy Cooper, Senate President Pro Tem Phil Berger and House Speaker Tim Moore.